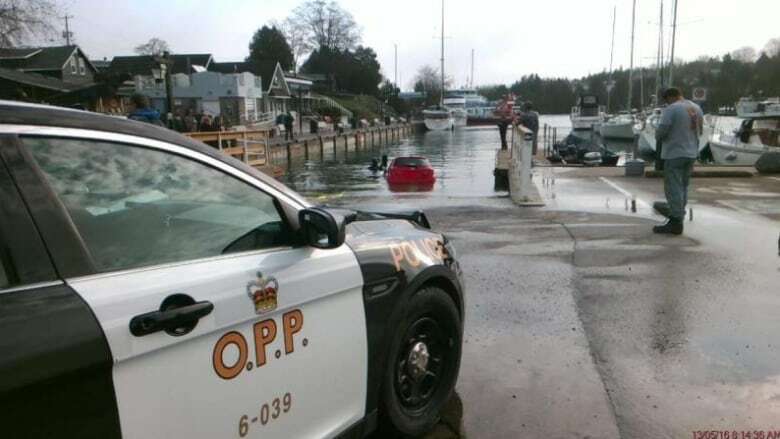 Police in Tobermory, Ont., pulled a red car from the harbour early Friday morning after a Kitchener woman followed instructions from her GPS and drove down a boat launch and into the water. Ontario Provincial Police said the woman was following her GPS "when she took a wrong turn into Little Tub Harbour" late Thursday night. It was raining, dark and foggy at the time. Combining "weather conditions and the driver being new to the area, a fully submerged vehicle was the result," police said in a release. The 23-year-old Kitchener woman was able to roll down her window, get out of the submerged car and swim approximately 30 metres to shore in 4 C water. She then called for help. Except for being cold and wet, the woman was unhurt. 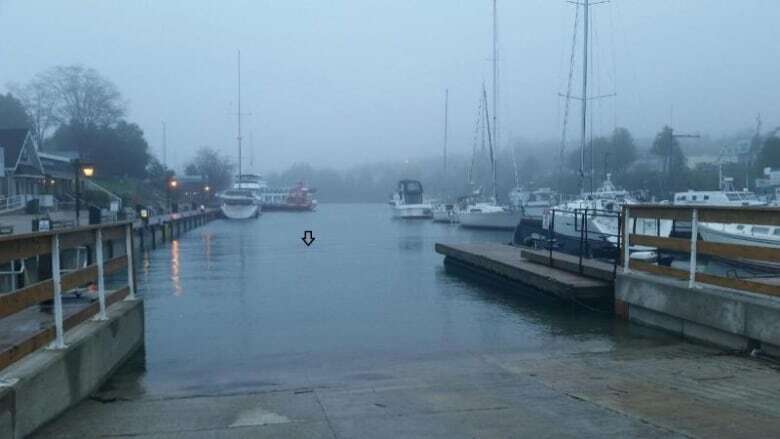 A tow truck was able to pull the submerged car out of the harbour at 8:22 a.m. Friday morning. Tobermory is approximately 250 km north of Waterloo.